As with any major issue of government compliance, it’s often necessary to meet with the appropriate management and staff of a company and familiarize them with the entire audit process. Those who will meet with the auditor should be coached? to understand that they need to answer any question truthfully, but don’t go any further. Sometimes when people are nervous, they have a tendency to ramble or a need to explain their answer. This should be avoided at all costs. Michael J. Cramer, JD, Compliance Officer at Beneflex Insurance Services (a UBA Partner Firm), says that a great way to help reduce the potential anxiety during an interview by a DOL auditor is to hold a mock interview and that the employer’s attorney and advisor go through this with you. This will help most personnel to feel confident and comfortable during the process. Also, if the auditor asks a question, or requests information that does not pertain to your organization, never hesitate to say that it’s “not applicable.” This is better than trying to make an answer fit or worse, not answering the question at all. Deanna Johnson, Director of Compliance at Benefit Insurance Marketing (a UBA Partner Firm), stresses that if the staff doesn’t understand a question on the audit, or is not sure what the question is truly asking, then they should ask the auditor before they arrive to clarify what they need rather than make an assumption. Similar to just answering the question and only the question, Josie Martinez, Senior Partner and General Counsel at EBS Capstone (a UBA Partner Firm), notes to never provide more documentation than what is requested. She adds that once you have all the documentation in place, identify the specific document(s) that responds to the request and then highlight the exact location on that document. 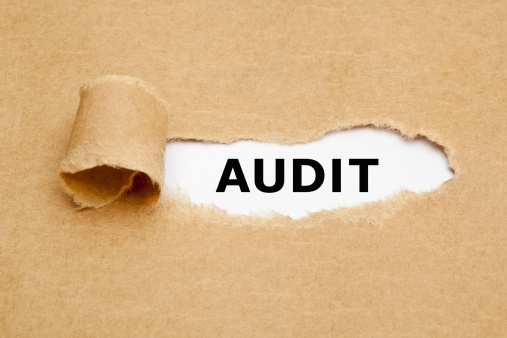 After all, what good is giving them a box of documents and telling the auditor, “good luck, it’s in there.” The goal is to get the auditor out of your office as quickly as possible. Whether it’s your company’s legal department, senior staff, or any other group of employees, make sure to empathize with their concern during a DOL audit. No matter how well prepared you and your company may be, there is bound to be some trepidation. Assuming you are indeed prepared for a DOL audit, remember that confidence breeds confidence. Show your employees that the situation is well in hand and they have nothing to fear. After downloading the new UBA white paper “Don’t Roll the Dice on Department of Labor Audits”, be sure to also request UBA’s audit checklist and sample interview questions!